It ain’t necessarily so, the things that you’re liable to read in Bible, or in Der Spiegel, or in the ancient histories. 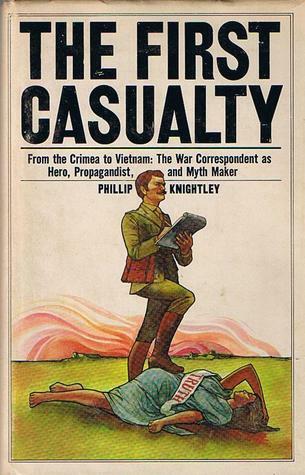 In 1935 the foreign correspondent of a certain English newspaper, finding himself without much material to report, despatched to England stories which supposedly dealt with the build-up to the Abyssinian war but which were in fact derived from an old colonel’s military reminiscences, published several years previously in a book entitled In the country of the Blue Nile. The correspondent’s newspaper was delighted with the reception given to these stories by its readers, and accordingly sent him a series of congratulatory telegrams – whereupon a colleague remarked to him: ‘Well, now we know, it’s entertainment they want!’41 The colleague had only then come to realize what had been known long ago to Tacitus, to whom the foreign correspondent’s technique would have seemed very familiar. 41 For a full account of this amazing and instructive story see Knightley (1975), 176—7 (whose book should be recommended reading for those who wish to understand how ancient historians worked). The reporter who deceived his newspaper and the public on this occasion assumed (quite rightly) that no one could check his stories on account of the distance involved. The same is even more true of ancient historians (see above, p. 153), who lived in a world where communications were so much more difficult. Woodman, Tony. 1980. “Self-Imitation and the Substance of History. Tacitus, Annals 1.61-5 and Histories 2.70, 5.14-15.” In Creative Imitation and Latin Literature, edited by David West and Tony Woodman, 155, 235. Cambridge ; New York: Cambridge University Press. German news magazine Der Spiegel has sacked an award-winning staff writer after accusing him of inventing details and quotes in numerous stories. Claas Relotius “falsified articles on a grand scale and even invented characters”, Der Spiegel said. Among the articles in question are major features that had been nominated for or won awards, the magazine added. In recent years, DER SPIEGEL published just under 60 articles by reporter and editor Claas Relotius. He has now admitted that, in several instances, he either invented stories or distorted facts.Claas Relotius, a reporter and editor, falsified his articles on a grand scale and even invented characters, deceiving both readers and his colleagues. This has been uncovered as a result of tips, internal research and, ultimately, a comprehensive confession by the editor himself. It is S.G.F. Brandon’s fault. At least he shares much of the blame. Way back in 1967, the year of the Six Day War and the release of Sgt. Pepper’s Lonely Hearts Club Band, his book Jesus and the Zealots was published. Ever since then it has been de rigueur for scholars to locate the historical Jesus in a Palestine strewn willy nilly with roaming bandits, rebels and apocalyptic prophets. In vain have I posted here and on other online discussion groups my complaint that there is simply no evidence for any of these figures in the time of Jesus, but that the only reason it is believed that such movements dotted the landscape in his time is by inferring that the zealots and prophets who appeared later (or in one case a generation earlier) were indicative of what must have being happening around the 20s and 30s CE — despite the silence in the record. Barnett, P. W. 1975. “‘Under Tiberius All Was Quiet.’” New Testament Studies 21 (04): 564. https://doi.org/10.1017/S0028688500010043. Careful analysis of the incidence of unrest and disturbance suggests that ‘revolutionary’ activity began in earnest during the Second Procuratorial period (A.D. 44-66). Yes, yes, yes. That’s exactly what I have been trying to say. What changed to bring on instability from that time on? The unexpected and premature death of Agrippa and the evident paganism and philo-Romanism of his son must have dashed to the ground any hopes for a deliverer from the Hasmonean line. Claudius’ initial policy was not unkind to Judaeans though this hardly compensated for the crises of the forties — the barely averted desecration of the Temple4 (A.D. 40), the death of Agrippa and the return to Roman rule which now extended to Galilee5 (A.D. 44), and the severe famine (A.D. 46-8). However, the appointment as Procurator in A.D. 52 of Pallas’ brother Felixat the behest of ex-High Priest Jonathan was to prove disastrous in Jewish history. Under the procuratorship of Felix (A.D. 52-60) the terrorist activities of the Sicarii began, the prophetic movement waxed strong, whilst Graeco-Jewish relationships in Caesarea were allowed to reach a critical point. In addition to teaching wisdom on his travels Apollonius was said to have performed miracles (exorcising demons; raising the dead) and to have even made an appearance to a follower after his death. What follows are so me points from a major contribution to the study of this figure by a historian of ancient history, Maria Dzielska. Scholars keep wondering at the true character of this work: what sort of biography it is (Leo), whether it is a Heliodoran romance, romantic hagiography, or whether, according to J. Palm’s recent suggestion, it is a documentary romance. Unlike the gospels the Life of Apollonius of Tyana mentions sources. Ah, if only the gospels would have done the same! The principal source the biographer, Philostratus, relies upon is Damis, the life-long close companion of Apollonius, and you’d think that if only we had a gospel saying directly that everything we read came from Peter we would have all our questions about the reliability of the gospels settled. But perversely, it would seem, most historians don’t believe that Damis ever existed and that Philostratus made him up to add a respectable and authoritative tone to his narrative. 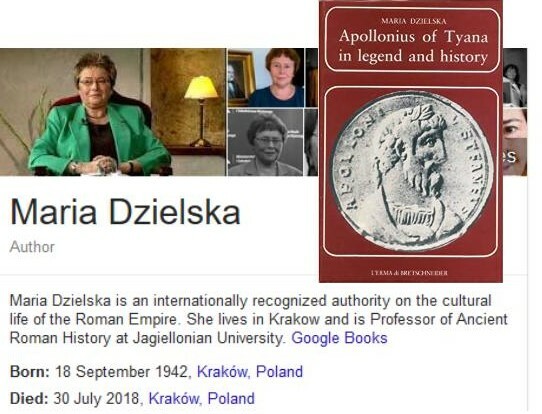 Dzielska singles out the one historian known to have assumed (naively, without clear evidence, Dzielska and others claimed) the existence of Damis. The Hypomnèmata of Damis have always been a great problem in the studies of Philostratus’ work. Scholars have wondered whether the memoirs were only a figment of Philostratus’ literary imagination, or whether they constituted a real notebook compiled by a certain pupil of Apollonius. This question has been raised not only by specialists in literature but also by historians. The latest views on the “Damis question” I present below. On their basis I consider Damis a fictitious figure and his memoirs (or notebooks) an invention of Philostratus. . . . . Using all his literary means Philostratus tries to assert that everything described by “Damis” is historically valid. As to his other sources, he either criticizes them (I 3), or dismisses them with a brief mention (I 3; 12). It is just this indiscriminate attitude towards “Damis” relation that makes us believe in Philostratus’ authorship of the memoirs. An examination of the details said to be from Damis leads a number of scholars to think that this Damis knew nothing more than what was already in the works of Tacitus, Josephus Flavius, Suetonius and Cassius Dio. A truly independent source would be expected to yield truly independent information. There are other details that raise suspicions about the reality of Damis, but I will move on. We know a good number of biblical scholars attempt to persuade us that the gospels are reliable sources because the geographic, social and political details in them are perfectly consistent with the real world at that time. 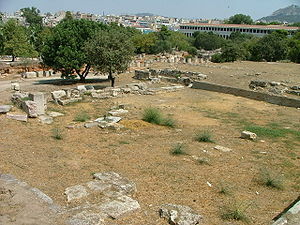 Yet Bowie is right to suggest that the conformability of historical accounts contained in VA [=Life of Apollonius] to historical events of the first century does not prove in itself the historicity of the events of Apollonius’ life as outlined in VA.
that Philostratus, as a man of letters and sophist full of passion for Greek Romance and for the studies in rhetoric, was hardly interested in the historical Apollonius. . . .
he had to invent this figure, as it were, anew. Thus, using his literary imagination, he turned a modest Cappadocian mystic into an impressive figure, full of life, politically outstanding, and yet also preposterous. Biblical scholars use criteria of authenticity or memory theory models to try to figure out what in the gospel narratives is historically probable as distinct from theological or mythical overlay. Ancient historians appear to have been very slow to have picked up on these advanced techniques of their New Testament “counterparts” and still rely upon independent corroboration. In the present work where Apollonius is treated both as a historical figure existing at a definite time and in a definite geographical region, and as a literary hero, it is my duty to refer all the time to the work which called him into being as a literary figure……. I consider this material useful and historically valuable only when it finds its confirmation in other literary and historical sources. Why not then acknowledge the historicity of, let us say, a romance story about King Artaxerxes’ trial of Chaereas contained in Chariton’s Story of Chaereas and Callirhoe, or Iamblichus’ story about a bad king Garmos who persecuted the hero and heroine of Iamblichus’ Babyloniaca 2? The historical adventures presented by “Damis” are different from those described by Iamblichus in the Babyloniaca only in so far as they are a falsification compiled with a chronicler’s precision. Dzielska, Maria. 1986. Apollonius of Tynan in Legend and History. Roma: L’Erma di Bretschneider. Scholars who have assumed a position over many years do not quickly recant it and publicly admit their error; nor can a novel hypothesis expect to carry the day at once in a conservative profession. It may be particularly difficult to shift opinion over texts which are fundamental to the faith of the critic. With time scholars came to treat sympathetically my arguments for the evangelists’ creativity: their freedom to create Nativity stories out of Old Testament types, and their ability to create or develop parables in line with their own stylistic and doctrinal concerns. They have been less willing to accept Matthew and Luke as embroiderers of earlier Gospel traditions, because there is a hankering after putative lost sources and oral traditions which would take us back to the historical Jesus. The Q hypothesis has been part of the ‘assured results of scholarship’ for more than a century, and despite my aggressive campaigning against it, it is still the standard teaching in most universities. I have over the years proposed two potent arguments in favour of Luke’s knowledge of Matthew, neither of which has been adequately criticized by defenders of Q . . . . . The puzzle to me has been why such arguments, which seem so conclusive, have failed to convince my leading opponents. I once had an uncomfortable conversation with Christopher Tuckett, with whom I have had a slightly uneasy friendship over twenty-five years. He asked me two disturbing questions: first, ‘Do you really not believe in Q, Michael?’ and second, ‘Do you think I am honest?’ as though he thought that one or other of us must be playing games, rather than seriously pursuing the truth. I do think that Christopher is honest, but I am unable to understand how, after years of discussion orally and in print, he still finds the evidence I have produced so unconvincing. It was reassuring to be told by Francis Watson, when he was Professor at Aberdeen, that I had persuaded him about Q; but I think it is probably asking too much to expect those like Neirynck and Tuckett, who have nailed their colours to another mast, to be able to consider with the necessary open-mindedness a view which so undercuts their own position. 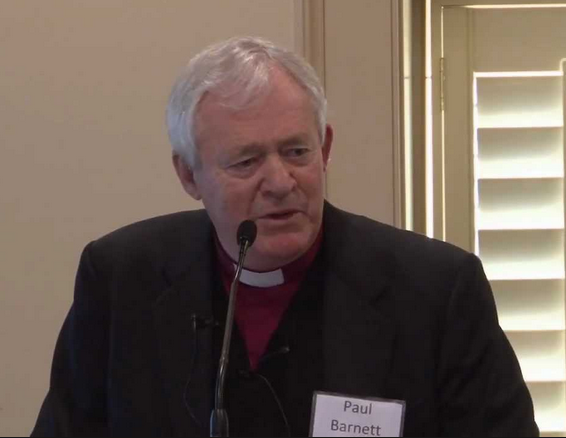 ….. in particular his rebuttal to the “argument from silence”, which claims that Jesus should have been mentioned in many historical sources if he had existed, but he isn’t, so he didn’t. Most telling was his listing of the feeble number of brief mentions of the eruption of Mt Vesuvius in classical records — if the Romans didn’t leave us many documents of this colossal disaster in their backyard, why should we expect them to have mentioned some minor Jewish preacher off in some provincial backwater? He also points out how rare it was for any writings to have survived from 2000 years ago, which lit up a lightbulb floating above my head. This is exactly the same as the common creationist argument that if evolution were true, we ought to be neck deep in tyrannosaur and stegosaur and diplodocid bones, and because the fossil record is so spotty and incomplete, evolution is false. Never mind that taphonomy shows that finding the bones of a dead animal surviving for even a decade is rare and requires unusual conditions. It turned out that PZ had unfortunately misread Tim’s point and Tim, even though he joined the commenters at the end of PZ’s post, failed to correct PZ’s misconception. 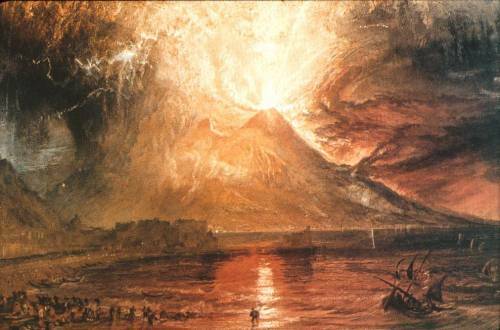 In fact Tim lists five surviving ancient references to the eruption of Vesuvius in 79 CE. What he claims to be the significant silences for his argument is the failure in the ancient record to mention the names of the two major urban areas (Pompeii and Herculaneum) destroyed by the eruption. If those towns were not major political and cultural icons in the ancient world then I would suggest that the failure to find accounts of their burial mentioning them by name is not particularly surprising. It would, indeed, have been surprising if we lacked some reference to the eruption of Vesuvius itself. A quick reading of Tim’s essay has led to the impression that if the ancient records failed to leave us a trace of such a major event as the eruption of Vesuvius then how much less likely is it that we should find a reference to an obscure preacher, Jesus, in Galilee. That is not the actual argument of Tim, however, so that rhetorical point about the particular argument from silence regarding Jesus does fail. But the question that does arise is an important one. What sorts of things did people write in documents, books, etc? Who or what institutions had an interest in preserving what sorts of documents, records, literature, etc? No doubt chance plays its part. But it is a mistake to assume that what has survived has done so entirely by chance. As with dinosaur fossils, special conditions, not merely chance alone, account for the preservation of some and not others. A historical study of Socrates echoes numerous points of interest in biblical studies, both in the Old and New Testaments. Following on from my reference to a point in Robin Waterfield’s Why Socrates Died: Dispelling the Myths I want to note here Waterfield’s explanation for why we have quite divergent accounts of Socrates’ apology (or defence speech) at his trial, one by Plato and the other by Xenophon. Neither Plato nor Xenophon wrote as disinterested biographers of Socrates. Each had his own agenda and used the figure of Socrates as a representative and advocate for his own interests and values. Both accounts are fiction, Waterfield believes. How did he arrive at that judgment? Plato is “too clever”, he says. The apology he sets out is evidently Plato’s own. The differences between the two versions are enormous; they cannot both be right. So whom does one trust? The most sensible position is that no dialogue, however early, is sheer biography and no dialogue, however late, is entirely free from the influence of the historical Socrates. Plato, Xenophon and all the other Socratics were writing a kind of fiction – what, in their various views, Socrates might have said had he been in such-and-such a situation, talking with this person and that person on such-and-such a topic. For one thing that is common to all the Socratic writers is that they portray their mentor talking, endlessly talking – either delivering homilies, or engaging others in sharp, dialectical conversation and argument. I suspect Goldilocks solutions are founded more on aesthetic preference than carefully evaluated options — and here Bayesian analysis offers to help out — but, let’s move on. We saw in the previous post that another reason for believing the accounts of Socrates are fiction is the sheer fact that there are so many variations of them. Each writer has his own opinion; if genuine reports of Socrates’ speech were documented then they would have been sufficient and there would have been no need for ongoing variations.